Photo by the Minerals Council of Australia. Right when the debate about the legislation to ratify the Comprehensive and Progressive Agreement for Trans-Pacific Partnership is about to start in Australia’s House of Representatives, the mining sector is out and about showing its support to the trade deal. This week, the Minerals Council of Australia issued a statement supporting the findings in a recent study about the so-called TPP-11. The research was carried out by economists from Brandeis International Business School and Johns Hopkins University and projects $12 billion in net annual benefits to the country’s income by 2030 and increases in exports of $23 billion once it ratifies the Partnership. Australia is the world’s number two gold producer. The Comprehensive and Progressive Agreement for Trans-Pacific Partnership was signed in March 2018 by Australia and the other 10 countries that decided to move on with a new version of the Trans-Pacific Partnership after the U.S. withdrew from the latter in 2017. Previous to showing their public support to the research report published this week, the Minerals Council of Australia presented a submission before the Australian Senate to back the accord. 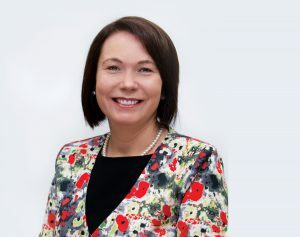 In an interview with MINING.com, the group’s CEO, Tania Constable, explained some of the main points in the document presented to the Upper Chamber and gave details of how she believes the deal will benefit the mining sector Down Under. How and why would deeper integration through regional agreements generate additional trade and output gains in Australia’s mining sector? By reducing barriers to trade and investment, such as tariffs on goods, restrictions on services trade, and impediments to cross-border investment, these agreements stimulate economic growth and development. Faster economic growth, particularly in Asia-Pacific economies, translates into additional demand for Australian resources commodities as those economies build new industries and infrastructure that need materials like steel, coal, copper, nickel and LNG. In addition, the CPTPP (TPP-11) includes specific commitments by several countries to reduce tariffs on Australian resources commodities and improve access for Australian mining services. These measures will make Australian resources and mining services exports more competitive in these TPP-11 countries, enabling Australia to increase its market share in those countries compared to competitor suppliers from non-TPP-11 countries. As highlighted in MCA’s submission to the Senate, among those beneficial commitments are Peru’s promise to eliminate tariffs on iron ore, copper and nickel; Vietnam’s commitment to eliminate tariffs on butane, propane, LNG and refined petroleum; as well as Mexico, Malaysia, Brunei Darussalam, Vietnam and Chile’s promise to improve access for Australian suppliers to their markets. The TPP-11 also includes commitments by all parties to reform state-owned enterprises and energy markets, which will create opportunities for Australian mining and oil and gas services suppliers. Tania Constable, CEO of the Minerals Council of Australia. Is there a subsector within the mining sector that would benefit the most? 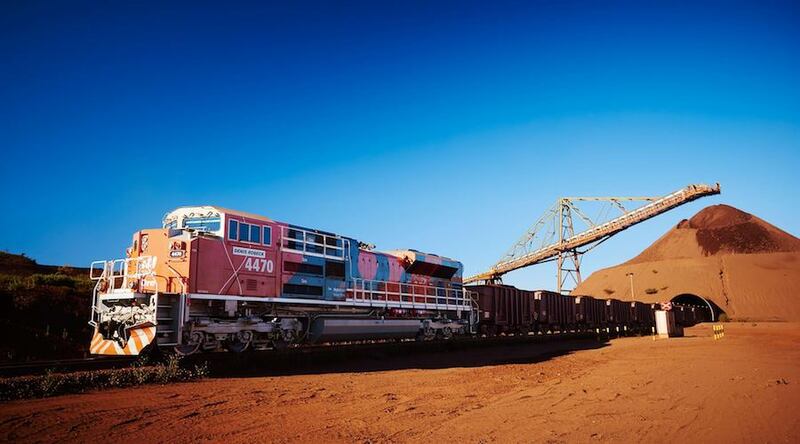 The MCA sees opportunities from the TPP-11 for Australia’s traditional large minerals exports, such as iron ore, coal and metals like copper, which will be in demand as developing economies covered by the TPP-11 continue to industrialise. This industrialisation will mean greater investment by those countries in infrastructure, which will support demand for iron ore and metallurgical coal for steel-making, and in electricity generation, which will support demand for high-quality thermal coal. The MCA also sees significant opportunities from agreements like the TPP-11 for Australia’s world-class mining equipment, technology and services sector. Looking at the study published this week by Peter Petri and Michael Plummer, it seems that the mining sector would benefit more from a TPP than a TPP-11, particularly when looking at exports. Why do you think this is? The modelling shows that while there are significant economic gains from the CPTPP (TPP-11), the gains would have been higher still under the original TPP which included the United States. This is because the U.S. is the world’s biggest economy and its involvement in the original TPP would have boosted trade between America and the other 11 Asia-Pacific economies covered by the agreement. Lower economic growth in the Asia-Pacific region under the TPP-11 compared to the original TPP is the reason export gains for Australian mining are lower under the TPP-11 than under the original TPP. For example, Vietnam’s national income would grow by 8.1 per cent under the TPP whereas under the TPP-11 this falls to 2.1 per cent. Slower growth in an emerging market for Australian resources like Vietnam translates into slower growth in Australian exports to that country. However, as the modelling also shows, the mooted expansion of the TPP-11 to a TPP-16 including Korea, Indonesia, the Philippines, Taiwan and Thailand, would see higher economic growth and higher Australian mining exports than under the TPP-11. Why would the output of the mining sector increase by 1.9 per cent under the TPP and about a 0.7 per cent under the TPP-11? Output of Australian mining in the modelling is driven primarily by export demand for commodities, which would be lower under the original TPP than under the TPP-11 without the U.S., and by domestic demand from the metals sector, which processes minerals commodities into metals such as iron and steel, aluminium and the like. The modelling shows that the Australian metals sector also experiences lower growth in exports and output under the TPP-11 than under the original TPP. Why is the mining sector so supportive of the TPP-11? The TPP-11 is a high-quality trade agreement which goes beyond the traditional focus of trade deals on goods to also include important provisions on services, investment, trade facilitation and people to people links which will all benefit Australian mining. The agreement’s investment provisions, for example, will improve cross-border investment flows by providing greater regulatory certainty. The cumulative positive impact of this agreement when combined with other free trade agreements is also significant in terms of the long-term benefits on offer. This will be positive for the Australian mining industry’s ability to invest in developing and operating mining projects in TPP-11 countries, which include several countries in Latin America and South-East Asia with significant resources deposits. These economies will be looking for investment in coming years to develop their own sectors and by adopting more open arrangements for cross-border investment the TPP-11 will create additional investment opportunities for Australian mining businesses. Finally, this agreement will help create and build stronger long-term strategic relationships between Australia and the other countries in the agreement, including between the respective mining and METS sectors of both countries.